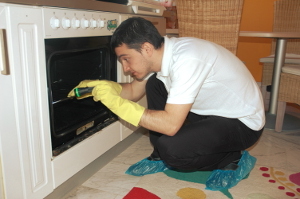 Oven Cleaners SW South West London - Experienced & Fully Insured| RDA Cleaning & Maintenance Ltd.
RDA Cleaning & Maintenance Ltd. is a provider of a high-quality oven cleaning services for your residential needs. With years of experience in domestic cleaning, we strive to give you only the best of services at an affordable price. With our fully insured oven cleaners in South West London SW and list of service, we are happy to say that quality has found its home in the entire London area. So if you wish to hire the best oven cleaning company in South West London SW just give us a call at 020 3404 1646 or use our online booking form. This way we will be able to respond to your request as fast as possible and send a team right away.